As the budget stalemate in Springfield continues, Gov. Bruce Rauner extended his TV advertisement run by another week in an attempt to sway public opinion, the Chicago Tribune reports. The advertisement, which was unveiled last week across the state, targets House Speaker Michael Madigan and the "politicians he controls." Titled "Crossroads," the governor pushes his pro-business agenda in place of proposed tax increases. The first wave of advertising cost an estimated $450,000. Another expensive week of advertising is proof that the governor and his opponents in Springfield are still at loggerheads about the state's budget. If a deal is not made by July 1, it's possible the state government could see its first shutdown in history. In line with his "shake up Springfield" message from his campaign days, Rauner seems determined to hold tight to his pro-business agenda, no matter how hard Madigan and Cullerton fight it. 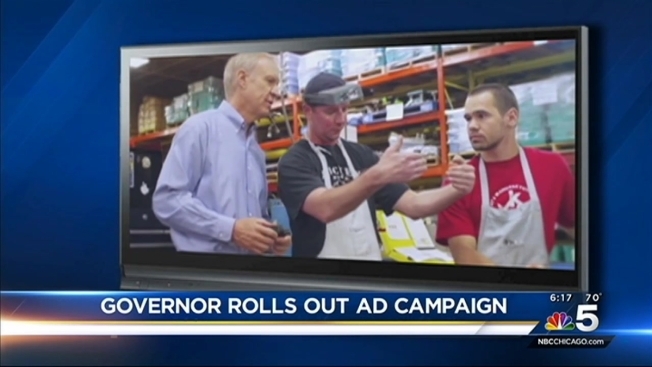 "Change in Springfield isn't easy, but you didn't send me here to do what's easy," Rauner says in the ad. "With your help, I'm going to keep fighting to grow our economy and fix our broken state government."